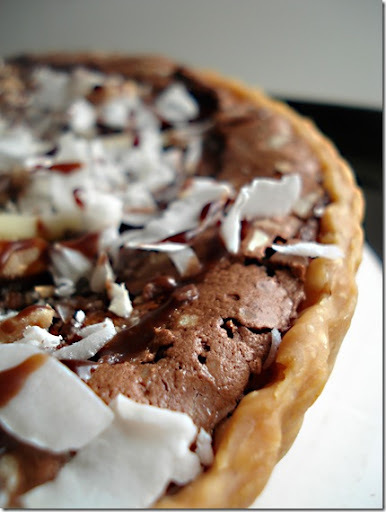 This pie is a cinch to make, tastes fantastic (sooo chocolately!) and looks pretty, too! Isn’t that everything you want with a holiday dessert?